Building healthy relationships and learning how to maintain them is an important part of growing up. It is vital that girls learn how to form peer relationships that offer support and positive environments and foster growth and self esteem. Just like with everything in life, we must learn when building healthy relationships, practice makes perfect. The best way is to first learn about what a healthy relationship is. A healthy relationship is one that allows for communicating a sharing. 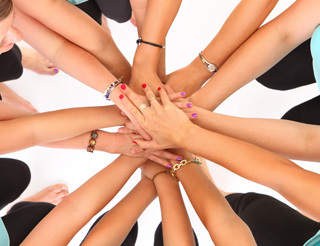 For young girls who are forming peer relationships and personal ones this is very important. Those people that are close to you should be open enough to talk and share with you and allow you to do the same. This balance is a sign of respect and a big part of a healthy relationship. Knowing what to expect in relationships that are good for you is a great start to forming a few in the future. There are several ways of knowing if the relationship that you are in iis a healthy one. A healthy relationship will have you feeling good about yourself when you are around others that are positive in and for your life. 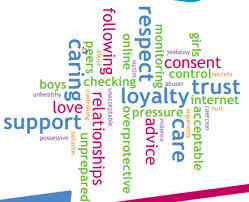 Healthy relationships allow all those involved to be heard, to listen and to be respected. A healthy relationship never leaves someone feeling left out. Healthy relationships are like emotional refuges. When you are in a healthy relationship with peers, family members or significant others you feel safe and unafraid. You can voice your concerns and opinions without fear of being harmed or made fun of. What to start building healthy relationships now? Look around you. There may be someone in your life right now that is open and willing to becoming a positive part of your growth a development. Remember relationships can come in all forms whether they are peer relationships, family relationships or relationships with someone who serves as a mentor. Don’t have a mentor? Mentors can be any older adult figure who inspire you, encourage you and challenge you to succeed. Organizations like GIP offer girls programs that will partner them up with mentors. 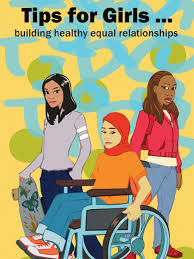 Through mentors girls can learn first hand about what healthy relationships are made of. Mentorships can offer a bond that is built on trust and understanding. The mentor can offer support and insight that will help and encourage and begin a relationship that will thrive off mutual respect. That is what healthy relationships are all about. Having healthy relationships will enhance your life and those who are special to you. You will notice that once you form one healthy relationship, forming others will come naturally. Before long, the list of people you have healthy relationships with will grow into a large support system. So when you are going about your day today think about what you can do to start building to continuing the healthy relationships in your life. It is never too late to start. If you don’t know where to start, you can start with Melinda Rae, founder of Girls In Power.